In our homely restaurant we offer you a rich breakfast buffet with regional, even home-made products, as fresh eggs from our free-range chicken, home-made marmelade, or fruit and juices from our own garden. 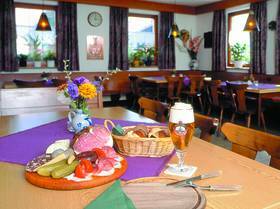 Enjoy a tasty dinner with original Franconian delicacies and fresh draft beer from the local brewery or our excellent Franconian wine. A digestif from our fruit orchard will make your evening perfect. When the weather is beautiful, our terrace invites you to stay outside or enjoy yourself on our sunny balcony behind the house. For our guests we have a big parking area for free, bikes can be stored in our garage. 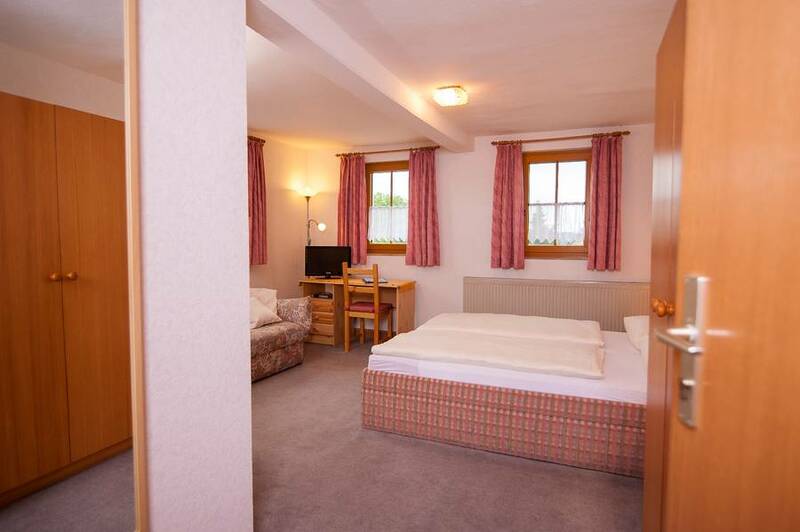 All bedrooms with shower/WC or bath/WC and hair –dryers. 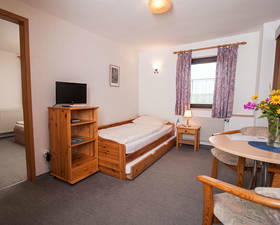 All rooms with TV and free WLAN. 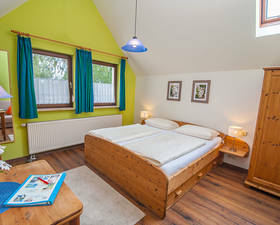 All family rooms available with/without connecting doors and 3 or 4 beds. 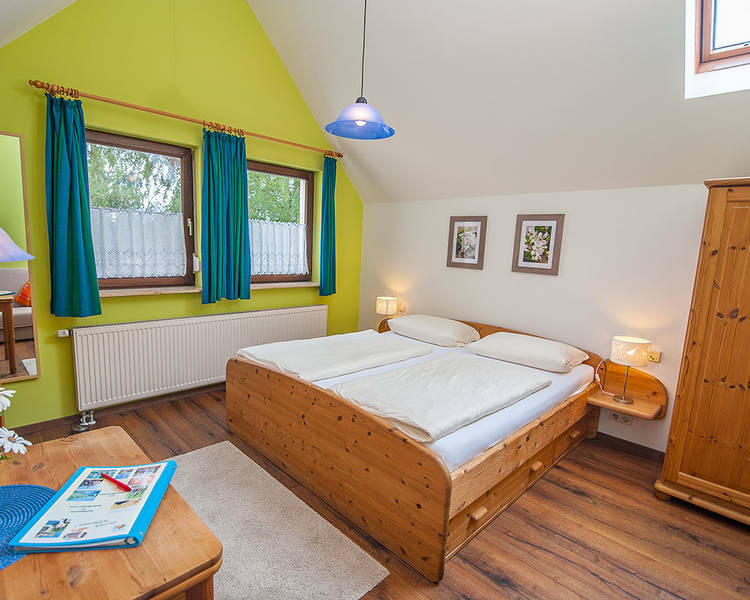 All double bedrooms with lounge and sofa as additional spare bed.